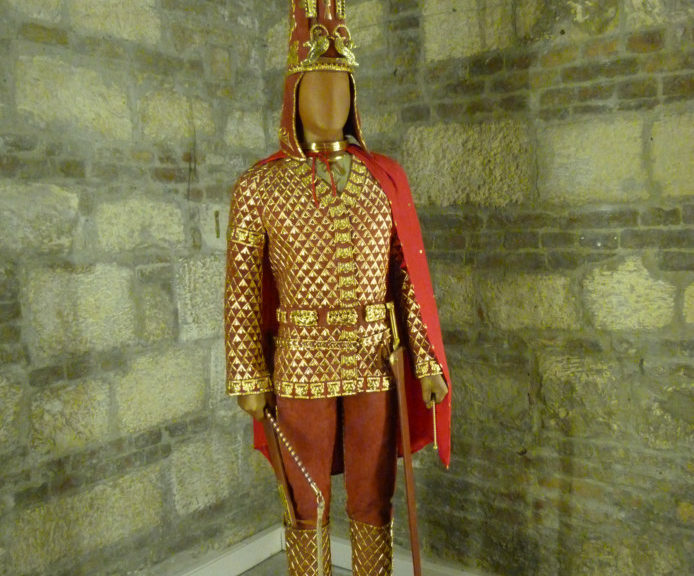 The Golden Man, main symbol of Kazakhstan independence, is a warrior’s costume from about the 5th century BC that was found in 1969 in a Saka tomb near Issik settlement, about 60km east of Almaty. It is made of more than 4000 separate gold pieces, many of them finely worked with animal motifs, and has a 70cm-high headdress bearing skyward-pointing arrows, a pair of snarling snow leopards and a two-headed winged mythical beast. have deliberately misrepresented the gender to suit Kazakh stereotypes. Archaeologist Jeannine Davis-Kimball argues in Warrior Women (2002) that the body was too badly damaged for its gender to be determined, and that other goods in the tomb suggest it was a woman. One intriguing school of thought identifies the Golden Woman with Tomiris, a queen of the Massagetes tribe who defeated the invading forces of Persian emperor Cyrus the Great. The original Golden Man is apparently kept safe in the National Bank building in Almaty, but replicas adorn museums all over the country.